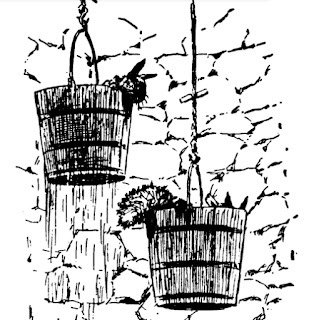 Folk Tale Secret Stash: Brer Rabbit Falls Down the Well. I’ve been having a little trouble getting my reading to synch up with when I wanted to release certain posts. For example, with it being February I thought I’d already be well into stories and folklore from the African Diaspora by now but it hasn’t worked out that way. However, I’ve been leaning a little bit too hard on movie reviews in the meantime. So, with hopes to give my impressions on Mules and Men sometime down the road, let’s instead cast the light on an African-American folk tale I know pretty well. Mainly because I borrowed it for a Story Circle meeting. The story starts with Brer Rabbit, Brer Fox, Brer Bear and others working in a field on a hot day. They were clearing ground for planting. It was hot as blazes and Brer Rabbit wasn’t happy about working in the hot sun. So as he’s working, Brer Rabbit pretends to get stuck by a thorn from a briar bush he was clearing away. The other animals tell him he’d better pull out the thorn and go wash his hand (paw?) so it doesn’t get infected. Brer Rabbit does leave but instead of washing his hands and going back to work, he decides to find a shady spot and take a quick nap. 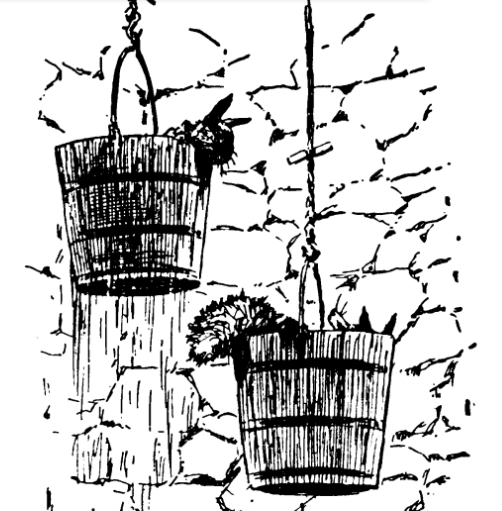 What Brer Rabbit finds is an old well with a rope and a couple of buckets attached, one on each end of the rope. Brer Rabbit hops in one of the buckets to catch some Zs. What happens? His weight makes the bucket he’s in go down and the other bucket go up. So now Brer Rabbit is in a pickle. He can’t get out of the well. Now Brer Fox knew that Brer Rabbit was up to something. So, he goes after him and sees him climb into the bucket and go down into the well. And Brer Fox starts to wonder why he’s going down into the well. So Brer Fox goes up to the well and shouts down to Brer Rabbit. Brer Rabbit gets the idea that he can use Brer Fox to get out of the well, so he shouts back up, “I’m fishing! You wouldn’t believe how many big fish I’ve caught down here! Now Brer Fox didn’t believe that Brer Rabbit was fishing for one minute. What conclusion did Brer Fox come to, though? He figured that Brer Rabbit must be hiding some money down there. Now, this is the invitation Brer Fox had been wanting to hear. He’d go down and find whatever cash Brer Rabbit had stashed down there. So, Brer Fox climbs into the other bucket and since he’s so much heavier than Brer Rabbit . . . well, you can guess what happened next. There’s a little more after that, but I’ll link to the story so you can read the rest of it HERE. This story has a lot of good things going for it. There’s an interesting amount of complexity shown in what could have been otherwise simple characters. It shows Brer Rabbit being the quintessential trickster and using his wits to get out of work. However, it also shows his cleverness backfiring on him. It also shows Brer Fox, usually the target of Brer Rabbit’s tricks being savvy enough to know Brer Rabbit is up to something but still clueless enough to be on the wrong track in terms of what it is. Here in the United States, a lot of the best parts of our culture come from the groups that get marginalized and pushed to the fringes. The biggest example being all the contributions the black community has made to American culture. In addition to pretty much every form of American popular music (blues, jazz, soul, R&B, Rock and Roll, Rap) and various other things, Brer Rabbit goes on the list. Brer Rabbit, being a rabbit, is smaller and weaker than those who would harm him, like Brer Fox and Brer Bear. So, he uses trickery and cunning to survive and even thrive. It’s a creation that you would expect of an oppressed and enslaved people. 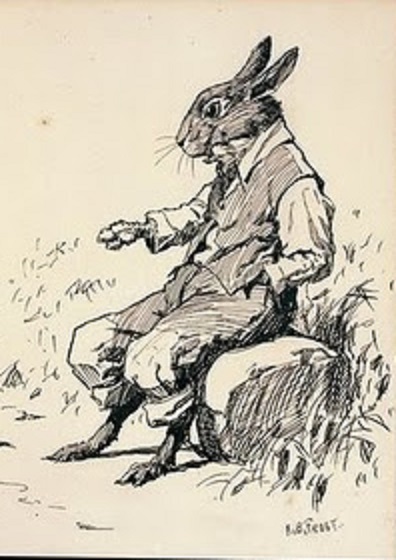 However, unlike a lot of other contributions of black Americans, Brer Rabbit and his stories have never lost their African American identity. That identity has been exploited by the likes of Joel Chandler Harris and Walt Disney, but it hasn’t been completely appropriated, co-opted and absorbed into the culture of the white majority. And that’s a good thing. As storytellers, we have to be careful of how we use stories and spread them. While there are some stories that we feel are ours, there are others we must remember that we’re just borrowing. 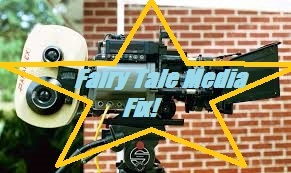 Fairy Tale Media Fix: The Kid Who Would Be King. It feels good to be right about something. I’ll try not to brag too much. 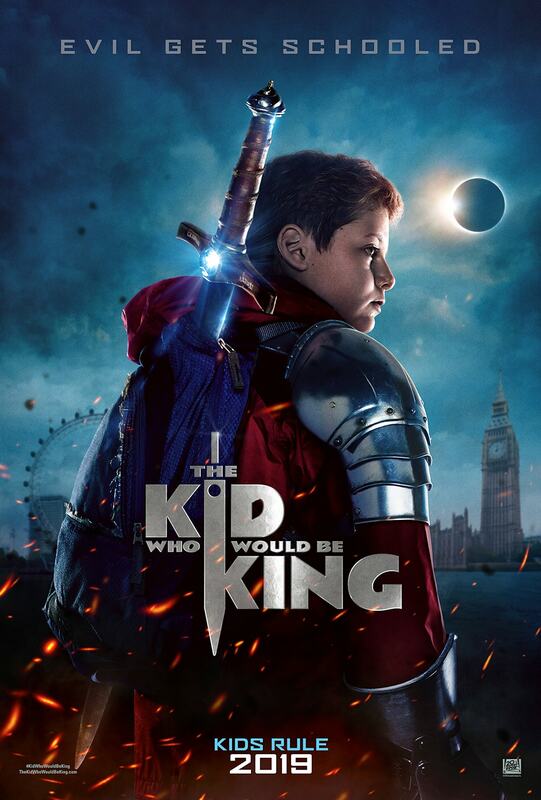 For a number of months now I’ve been cheerleading a movie called The Kid Who Would Be King. Since I saw the first trailer for it, I’ve been saying that it looks like a lot of fun. And the truth is, I saw the movie and guess what? It was a lot of fun! This isn’t exactly a fairy tale film but it does stray into Stuff of Legends territory, so I think it’s close enough. The Kid Who Would Be King is a movie about a 12 year old boy named Alexander Elliot. Alexander struggles with bullies at school and abandonment issues regarding his absentee father. Then, one night when running from his bullies, he finds a sword stuck in a stone at a demolition site. Alexander pulls the sword from the stone. Before long, Alexander discovers that he has now been chosen as the new king, whose duties include defeating the sorceress Morgana and saving all of Britain from enslavement. So, along with his friend Bedders, his two former bullies turned knights and Merlin in the form of a lanky teenage boy, he goes on a quest to defeat Morgana and experiences some self-discovery along the way. This movie is the sophomore foray for director Joe Cornish, director of the inner city alien invasion movie Attack the Block. It stars Louis Serkis as Alexander, Dean Chaumoo as Bedders, and Angus Imrie and Patrick Stewart as the young and old Merlin respectively. All the actors do good jobs. Probably the standout is Angus Imrie as teenage Merlin. Especially entertaining are his spells which are entirely executed through elaborate hand gestures. You know what? Let's have another one. King Arthur related movies haven’t exactly been having the greatest run lately. And I’ve echoed the sentiment put forth by online media critic Patrick H. Willems that the problem is that new versions of the story have put forth of their radical new takes without bothering to remind people of why they loved the stories to begin with. Essentially, with old stories like this that get made into movies usually every decade or so, you have to provide people with the “greatest hits” before hitting with new stuff. I’m pleased to report that The Kid Who Would Be King doesn’t make the same mistake as other recent films. This film gives us Excalibur, the sword in the stone (the same sword for storytelling economy purposes here), Merlin, Morgana, Tintagel, The Lady of the Lake and even a round table of sorts. Sure, the movie had plenty of new stuff too. You can’t go as radical as “preteen becomes the new King Arthur” without changing things up a little. Their take on the sorceress Morgana is decidedly different, portraying her as much less a witch and more of a demon at times. Her human form also has a unique vegetative look with roots and vines all over. The Lady of the Lake is now connected to every body of water in all of Britain, ranging from lakes to puddles to bathtubs. Our new collection of knights also provides some nice diversity to reflect the face of modern Britain with Bedders (counterpart to Sir Bedivere) being a South Asian boy and Kaye (counterpart to Sir Kay) being a young black girl. 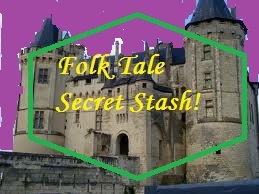 There is also one big change to the Arthurian legend that I’m rather fond of. However, it comes as a big moment in the movie and a major turning point for Alexander’s story so I don’t want to give it away. I think the thing that most won me over is the tone and the themes that were in play. Most takes on the King Arthur story in recent years aim for some kind of adult drama. They either try to make the story gritty and historically accurate or they focus on the love triangle between Arthur, Guinevere and Lancelot. 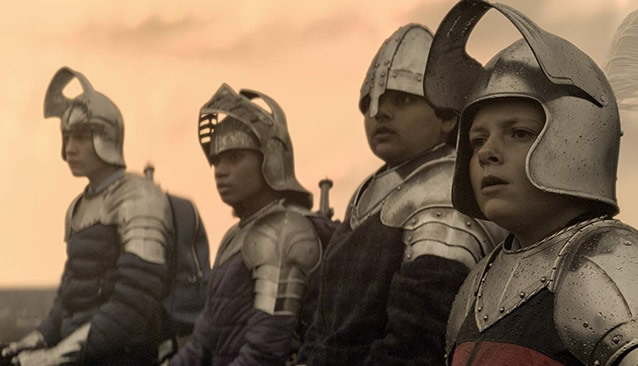 The Kid Who Would Be King is a kids’ movie and as such it draws from a very kids’ storybook version of the Arthur legend. In addition to all the fun mythological stuff I mentioned before, the movie focuses on all the super-idealistic chivalry stuff that’s become associated with the knights of the round table over the years. While some people might see that stuff as a bit cheesy or juvenile, it’s more or less what I’ve wanted from a King Arthur film for a while. When Arthurian stories focus on gritty violence or internal strife, it makes me forget what a noble experiment Camelot was actually supposed to be. Happily, the optimistic tone is one of the main points of the movie and hope for a better world one of the main themes. So, has The Kid Who Would Be King escaped the curse of recent Arthur films. Well, maybe halfway. The reviews I’ve seen have echoed my sentiment that the movie is a lot of fun. However, last I checked it didn’t seem to be burning up the box office. Which is too bad. So, I’d very much recommend The Kid Who Would Be King. It’s a lot of fun and if you’re anything like me, it might be just the King Arthur movie you’re looking for.